CREATING EXCLUSIVE WINE COUNTRY EXPERIENCES IN CALIFORNIA’S CELEBRATED CENTRAL COAST. Diane and Melanie blended their passion for great wine and wanderlust to create Destination Vine. Our wide-ranging experiences and deep connections to the wine community enables us to curate unique, personalized and intimate wine tours. 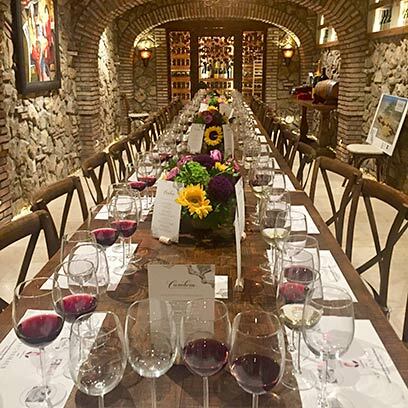 We showcase the best that Santa Barbara wine country has to offer by constantly seeking to uncover the most amazing "hidden gems" of the Santa Ynez Valley--featuring top winemakers, respected winery owners and incredible world class wines. Female-owned and entrepreneurial in spirit, DV takes care of every last detail to ensure that you won't want your wine tour to ever end! Melanie Castriotta was born into a large Italian family and was raised with an appreciation for great food and wine… Dinners and parties were never ordinary, they were monumental! Every detail was carefully thought out beginning with the menu, table decor, ambience and of course the wine! Growing up Italian has given Melanie a wonderful passion for life and and all things creative. This prompted her two years ago to start her own successful blog called “The Wine Contessa”. Her background in the design field as well as restaurant and event planning has given her unique insights into creating fantastic adventures for DESTINATION VINE’s clientele. Melanie’s attention to detail and love affair with wine contribute to making DESTINATION VINE your ticket to the best that the Central Coast has to offer! Diane is a born and bred New Yorker who made her way to California as a college student attending UC Santa Barbara. She fell in love with all the West Coast had to offer, especially the wine country. In those days Santa Barbara wineries were just starting to develop so most of her wine tasting experiences were in Napa and Sonoma where she savored the wine and the lifestyle. Many years later, Diane turned her passion for wine and the wine country into a business and co-founded DESTINATION VINE. Her professional background includes early stints in the hospitality business before moving into advertising where she worked at major advertising agencies in New York and Los Angeles. 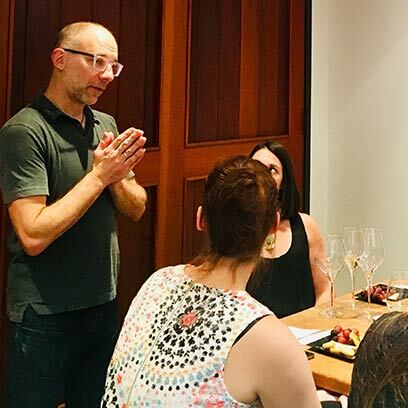 While she was at D’Arcy in Los Angeles she had the opportunity to work with her first wine client, Domaine Chandon, where she also developed her palate for great sparkling wines! From there her passion and knowledge began to flourish and she built a substantial client base of wine and spirits brands. Along the way she co-created and produced “Ultimate Living”, a nationally syndicated lifestyle show centered around wine country living. Diane has since rediscovered the great wines, food and lifestyle on California’s Central Coast. She loves seeking out the hidden gems from the region and is excited to bring those unique experiences to other wine lovers through DESTINATION VINE! 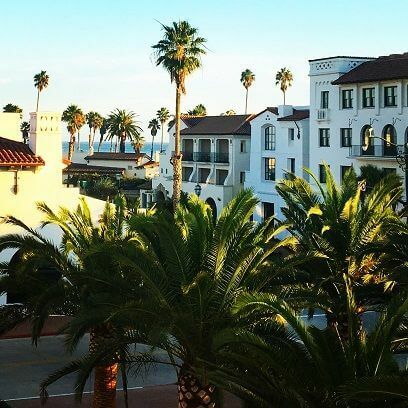 Celebrating the best that Santa Barbara has to offer from Downtown to Santa Ynez Valley. Our goal is to create unique and memorable wine-centric experiences unlike any other. Exclusive interactive blending workshop. 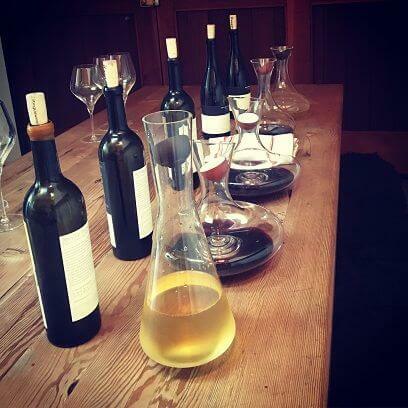 This is a unique opportunity to learn the art of blending wines with a cellar master. You’ll taste different varietals and ultimately create your very own custom cuvée to bottle and take home. A selection of fine cheeses will compliment your wine blending experience. Following the blending workshop, we will whisk you away to a private winery to enjoy an artisan lunch and tasting amongst the vines. This is a connoisseur’s dream! Meet some of the SYV’s renown winemakers and taste select small lot & library wines from their collection. Walk the vineyards, feel the soil, sample the grapes on the vines and hear the wonderful stories behind these amazing masters of wine. You’ll have the opportunity to purchase some of their coveted wines for your collection---not available at retail. Enjoy a gourmet lunch on their private estate. Perfect for Girls Get-Aways. An inclusive 2-night, 3-day package in the picturesque Santa Ynez Valley, one of the top wine regions in the country! Enjoy a stay at the historic bungalows at Mattei's Tavern. Newly renovated, these charming bungalows are located in the heart of wine country and just steps away from the charming town of Los Olivos, home to dozens of wine tasting rooms, shops and cafés. Your getaway will include a full-day of wine tasting at 3 private boutique winery estates, an artisan lunch in a vineyard setting, luxury transportation and a personal concierge to attend to every detail. We'll also take care of booking restaurant reservations and other wine country excursions--horseback riding, hot air ballooning bike tours or hiking. Your experience is completely customized to fit your group's desires! Contact us for pricing options. See, Sip & Savor tour for those who want to experience the unique beauty of downtown, Santa Barbara along with its innovative food and wine scene! 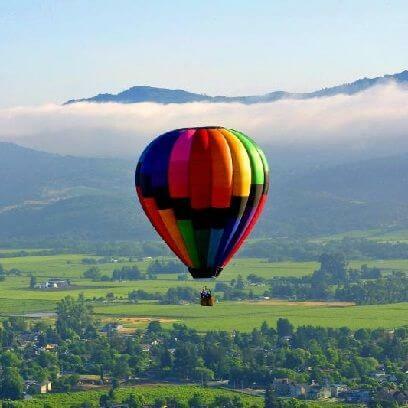 Start your day with a glass of bubbly and an exciting Hot Air Balloon Ride over beautiful Santa Barbara Wine Country! Explore Old World wineries reminiscent of Tuscany and Provence. Visit a charming Lavender Farm and have your own Olive Oil Tasting amidst the groves. End your day with artisan lunch and wine tasting on a private estate. 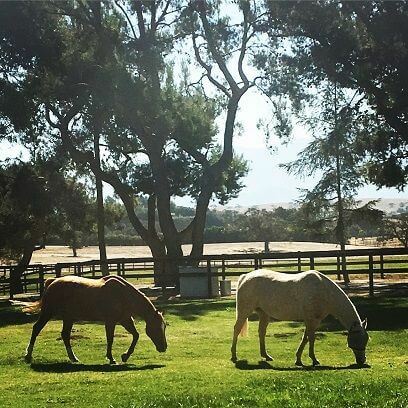 What's better than meandering on horseback through the vineyards and Santa Ynez Valley ranch trails? You'll enjoy breathtaking views and fresh air throughout this 75 min ride. Upon your return, a glass of bubbly complemented by a gourmet cheese plate will await you. Then, be prepared to be whisked away to a private estate for an artisanal lunch & wine tasting! To top off it all off, you'll be treated to one more wine tasting at a boutique winery, accompanied by sweet bites. Cheers to a day that will linger on long after it's finished! 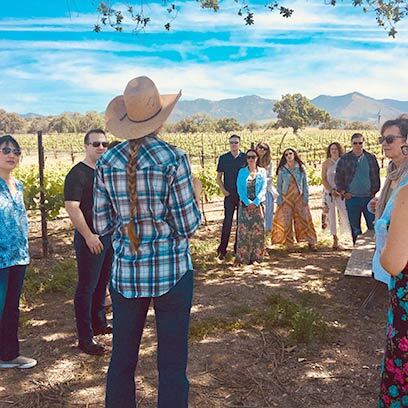 Whether you are planning an offsite meeting, an incentive trip for your top performers or a special event for family and friends, DESTINATION VINE can do it all! We will work with you and create a lasting impression. We plan every detail including hotels, dinners, meeting venues, specialty wineries and wine tasting tours, golf, spas…you name it! We look forward to helping you create an exclusive wine country experience! 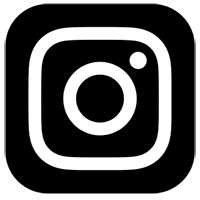 We pick you up at your requested location in either Santa Barbara/Montecito or Los Olivos area. We provide a full itinerary including wineries, other activities and pick-up/drop off times. 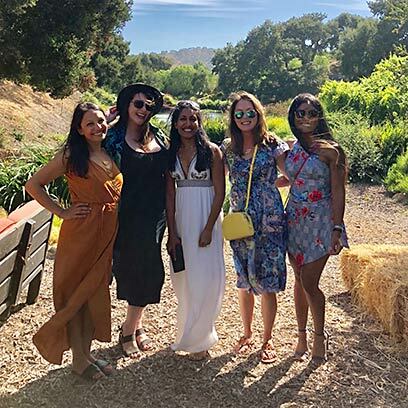 All tours include luxury transportation, a personal concierge, guided educational overview, private tastings/tour at up to 3 wineries, a chance to meet winemakers & owners, all tasting fees, cheese plate pairing, artisan picnic lunch in a winery setting and sweet treats to top off your day. We offer luxury Black Car VIP transportation including Mercedes Sedans, SUV's, Mercedes Sprinters and Mini Coaches. We will provide you with a quote in advance of your booking agreement. We accept all major credit cards through PayPal. 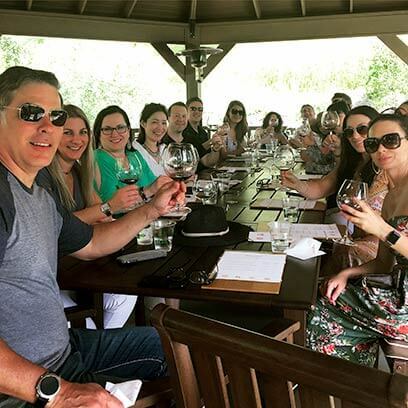 Your tour includes private luxury transportation, all tasting fees, gourmet cheese plate, artisan lunch in a vineyard setting (pending weather), access to private wineries & personal concierge for the day! Gratuities not included. How many wineries do I visit? A typical day tour include 3 wineries with a picnic lunch at the second winery. At least 2 of those wineries are private experiences. For half day tours, You will visit 2 wineries at least one is private. For horseback rides & hot air balloon rides, we reduce it by 1 winery visit. How far in advance do I need to book my experience? The more advance notice we have, the better chance we have to guarantee bookings at our "hidden gems" in Santa Barbara wine country. We require 50% deposits the time of booking. Our cancellation policy is 48 hrs prior to your trip for parties of 6 or less, 72 hrs for parties of 6 or more. If you cancel before that time will refund your money minus a 10% service fee. Cancellations in less than that, you will be charged the full amount of the tour..
As one of the premier wine tour companies in the Santa Ynez Valley, we have access to the top private wineries, winemakers & behind the scene knowledge of the area! 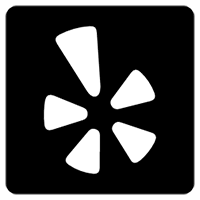 We take the guess work out of it all and carefully curate an experience that's just for you. 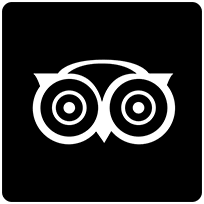 Our goal is to "wow" you and exceed every expectation! Call or email us to discuss your personalized wine country experience.